Positive emotion, the first of the five pillars of positive psychology founder Marty Seligman’s PERMA model of well-being, plays an important role in helping people thrive. And of the range of emotions included in this category, including joy, happiness, enthusiasm, desire, and zest, few hold a candle to gratitude. Research has helped demonstrate why this is the case. So if you have not taken the time to deliberately and regularly practice gratitude, here is some information to convince you on why you should. And for those of you who are already incorporating it in your daily lives, perhaps this information will help you better understand and appreciate why it’s a good thing that you are doing so. The Emily Post Institute, advancing the etiquette standards of its namesake, notes that expressing thanks is the “hallmark of civility”. But the power of gratitude extends beyond simple courtesy. For starters, leaders in the field of positive psychology find the construct to be more than a form of politeness. Gratitude is considered a character strength — among those that help connect us to something greater than ourselves. It can be reflected in how we respond to acts of others as well as in our general perspective or outlook. The list goes on. Now, you may be wondering if this is a chicken and egg situation — does gratitude come first? You could argue that one might be more grateful when all of the above conditions already exist. After all, each would give us something to be thankful for. But studies have been conducted that show how practicing gratitude can cause good things to happen. A team of researchers, including Seligman, conducted a study in which participants wrote a letter of gratitude to someone in their lives. Then they shared it with that person. The results showed significant increases in happiness and decreases in depression for one month. In another gratitude related intervention, participants took time each day for a week to write down what went well and the reasons for it. The same researchers evaluated the effects of this exercise and found positive results that lasted for six months. Research on positive emotions helps explain why this is likely the case. Barbara Fredrickson, a noted positive psychologist and principal investigator at UNC’s Positive Emotion and Psychophysiology Lab, encapsulates the importance of positive emotion through her “broaden and build” theory. Through this theory, which she has validated in numerous scientific studies, she has shown how positivity enables people to open their minds, become more aware of their surroundings and to develop and build upon new skills. This facilitates a future-minded focus that also allows them to prepare for challenges down the road and meet them more effectively. But some researchers have questioned which kinds of positive emotion may be best for such development to take place, hoping to better distinguish between their particular effects. One study specifically challenged Fredrickson’s assertion, finding that not all types of positivity broaden cognitive scope. But one of the emotions they could not call into question — and in fact found further evidence to support — was none other than gratitude. Sonja Lyubomirsky, Professor of Psychology at the University of California, Riverside, and a leading authority on gratitude, advocates for many of these practices and others in her book The How of Happiness. When it comes to fostering well-being, she rightly considers gratitude a “metastrategy” for its sweeping potential. Emily Post was certainly onto something back in 1922 when she first compelled people to mind their manners. And as lasting as her rules of etiquette have been, hopefully more research will be done to show how we can take gratitude even further to reach new levels of well-being. But simply saying “thank you” isn’t a bad place to start. 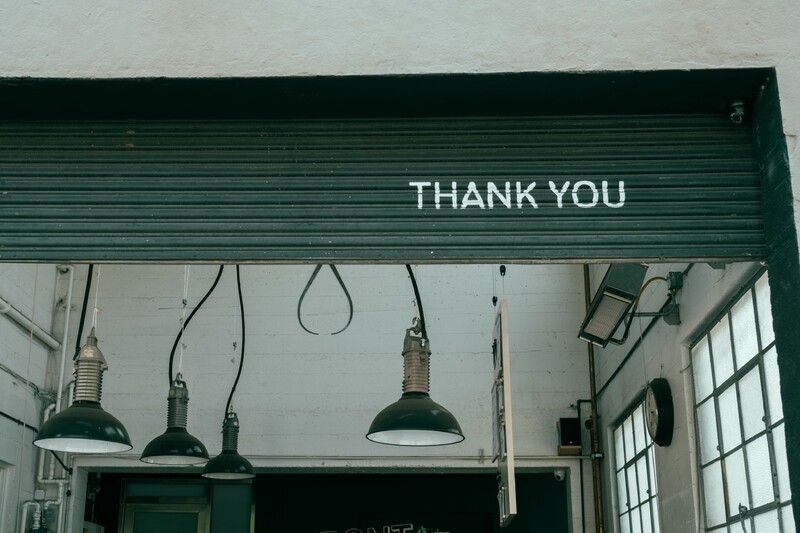 I certainly am grateful that you read to the end of this blog and took time to further consider the power and importance of gratitude in our lives.